Of all the beers you'd expect the WA beer cognoscenti to be getting excited about when Homestead opened, few would have put their money on it being a hefeweizen. The wheat beer with origins in Bavaria is very much a love-it-or-hate-it style of beer and, while a fair few are brewed in Australia, not many local versions or much chop, often too heavy handed with their candied bananas or lean to the point of insipid. 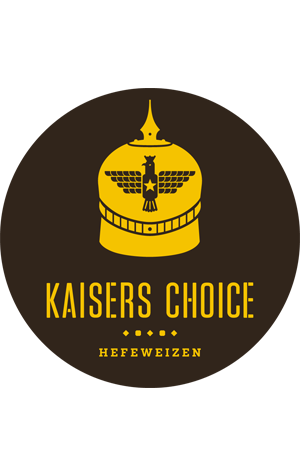 Yet, when Homestead opened, it was the Kaiser's Choice that had people abuzz. Given he has a fantastic piece of German machinery to brew on – one capable of the decoction brewing techniques favoured by Bavaria's traditional wheat beer brewers – Ron went the whole hog: all German malts, all German hops, German yeast and traditional German techniques. It paid off with a beer that captured that unique hefeweizen flavour and aroma that sits somewhere between the characteristics often tagged banana and clove but with that hard to define, unique hefe twist too. Little surprise then that it went on to take a high gold at the 2015 Australian International Beer Awards, pipped to the trophy only by Weihenstephan, the world's greatest wheat beer brewer.